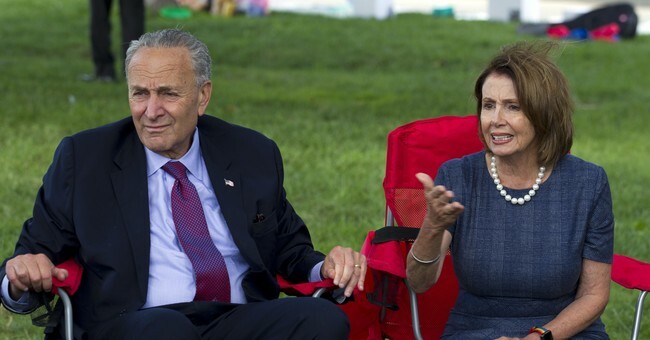 President Donald Trump will host Senate Minority Leader Chuck Schumer and his House counterpart Nancy Pelosi at the White House Wednesday evening for dinner. Healthcare, meaning Obamacare repeal, and DACA will be the main topics of discussion. "If we can do things in a bipartisan manner that would be great," President Trump said about the scheduled dinner. "If you look at the greatest legislation every passed it was done in a bipartisan manner." During the White House press briefing Wednesday afternoon, Press Secretary Sarah Sanders said the President is willing to work with anyone to move an agenda for America forward. "This President has done more for bipartisanship in the past eight days than President Obama did in the past eight years," Sanders said. The meeting comes after President Trump went around Republican leadership last week to cut a deal with Schumer and Pelosi on the debt ceiling. Last week President Trump announced through the Department of Justice he is ending President Obama's executive DACA program but giving Congress six months to come up with a legislative solution. In response, Pelosi slammed the president and said his actions were "despicable." According to a recent Morning Consult poll a majority of Americans, but more specifically a majority of Trump voters, believe illegal immigrants brought into the country as child by their parents should be able to stay.